NEW DELHI: Syntonic, a mobile platform and services provider, has announced the expansion of Freeway by Syntonic into India, the world’s second largest smartphone market with over 200m subscribers. Freeway by Syntonic provides a frictionless way for application developers, content publishers and advertisers to reach, acquire, engage and monetize mobile users. Syntonic will work with content and app publishers in India to leverage Freeway by Syntonic’s “download and use” data rewards service, offering an innovative user engagement solution which provides a more cost effective approach for acquiring and engaging users. For consumers, Freeway by Syntonic is a new way to freely access apps without impacting their mobile data. The Freeway by Syntonic application is now available on the Google Play Store for smartphone subscribers on the leading Indian mobile carriers, including Airtel India, Vodafone India, Idea Cellular, and Reliance Mobile. “Download and use” data rewards provide immediate value for Indian consumers, where 85% of subscribers are on pre-paid plans. App Developers and content publishers can utilize “download and use” data rewards services with Freeway by Syntonic to cost effectively enhance user acquisition and engagement. Brands using Freeway by Syntonic will now have access to over 200m smartphone subscribers in India, the third-leading market for app downloads from the Google Play Store. “The consumer appetite for mobile content and the enormous demand for applications in India is unparalleled” said Rahul Agarwal, President and Co-Founder of Syntonic. “We are proud to be working with our launch partners, representing the premier leaders in the India mobile gaming industry, to provide the next generation advertising and engagement platform in this vibrant and growing market,” he added. Inaugural publishers participating in this launch include Reliance Games, the mobile gaming division of the Reliance Entertainment-Digital Group; Nazara Technologies, a leading mobile games developer, publisher and exclusive distributor for premier game developers such as Electronic Arts; and Zapak Digital Entertainment, India’s largest online casual gaming site. “We’re excited to partner with Syntonic to bring data rewards to millions of enthusiastic mobile gamers in India through Freeway,” said Amit Khanduja, CEO of Reliance Entertainment – Digital. “India is at an inflection point for mobile entertainment, and Freeway’s offers of data rewards provides a compelling, differentiated way for us to attract new consumers, keep them actively engaged with our extensive catalog of games and provide tailored offerings for the Indian market,” he added. “Our publishing strategy at Nazara is to offer billions of mobile gamers a curated and innovative mobile experience,” said Nitish Mittersain, Managing Director at Nazara. 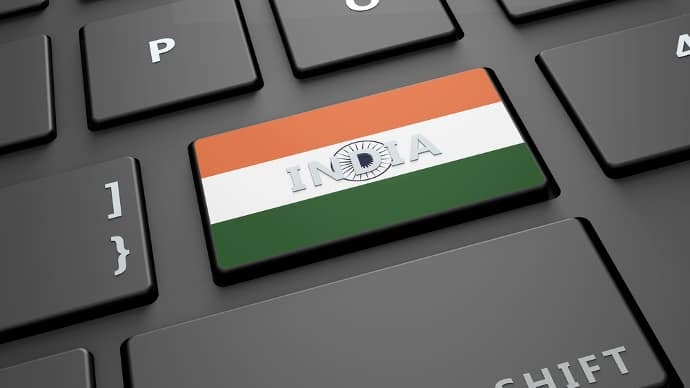 “Freeway by Syntonic is a timely complement to our publishing platform, providing irresistible data rewards that are of immediate value to our gaming communities in India for social connectivity, cross promotion, and brand advertising,” said Mittersain. Freeway by Syntonic expands to India 0 out of 5 based on 0 ratings. 0 user reviews.